The Private Security Agencies Regulation (PSAR) Act, implemented in 2005, does not seem to be fulfilling its purpose. According to the Internal Security Division, the licensing authority of the Karnataka government, 1,506 PSAs are functioning in the state. But only 548, or 36 percent, work with a valid license. Applications by 258 security agencies for licenses are being processed, and around 25 applications had been rejected in the six months to Oct. 31. During a one-day conclave organized by the Karnataka Security Services Association (KSSA) on Nov. 24, Bhaskar Rao, he inspector general of police and controller authority, said operators of companies working without a license face imprisonment or a hefty penalty. 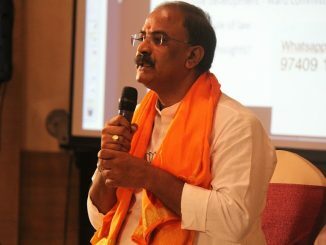 When asked about the possible reasons for these private security agencies functioning without license, Additional Director General of Police Bipin Gopal Krishna said, "One of the reasons for these agencies running without license could be a lack of knowledge about the rules and regulations." However, Bipin added that almost all the agencies were informed that the deadline for acquiring license to run a private security agency in the state is Oct. 31. "Though sufficient publicity was made previously about the provisions in the PSAR Act, few positive responses have been reported," he said. According to the law, all agencies were required to obtain a license within one year of its implementation. If any agency provides security services without the license, then Section 20 of the act makes the person who runs the agency liable for imprisonment up to one year. An official from Excellent Security Services, a private security firm in Bangalore said a huge number of private security services are working without a license, swamping the market. "The implementation of such acts will surely help in reducing the number of security firms working illegally," he said. Shankar Rama, a security guard who formerly worked in a private security firm said: "I was one of the many people who went back to their cities during the mass exodus of northeastern people from Bangalore because of the fear [they would become victims of ethnic violence]. But later, when the situation came under control, I came back but found that the firm was no longer functioning because the firm’s application to obtain license got rejected." Rama said he was unaware that security firms must be licensed. Rajarajeshwarinagar zone has 14 wards. 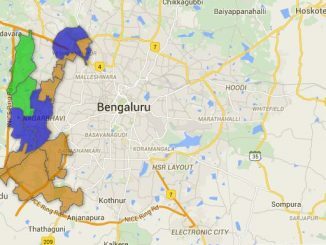 BJP dominated the BBMP elections – 2010 in this zone, by capturing seven wards. Here is the information related to the zone. Saturday’s statewide bandh called by the ruling BJP disrupted normal life in Bengaluru. Commuters, tourists and many others were stranded.